THE SECRET TO GETTING AHEAD IS GETTING STARTED is the line, one should always remember. 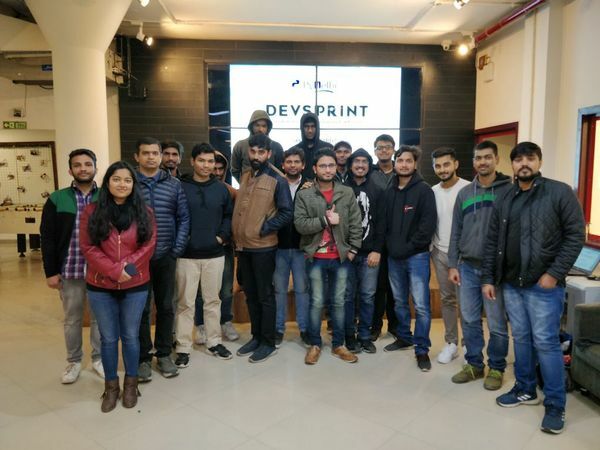 Dev-Sprints are meetups organised by PyDelhi for contributors, maintainers, and authors to meet under one roof and contribute to Open source projects. This is beginner friendly so anyone wanna start journey in Open Source can join the next one. The session started by introduction from everyone. Then the project mentors pitch about their projects that what are the prerequisite for contributions and other required details. 1.Piyush Aggarwal(a.k.a brute4s99) briefed us about Pandas - an open-source Python Library providing high-performance data manipulation and analysis tool using its powerful data structures. Python with Pandas is used in a wide range of fields including academic and commercial domains including finance, economics, Statistics, analytics, etc.He walked the attendees through the repository and requested interested attendees to contribute to the project on github. 2.Akkshay Arora(a.k.a Quanon) explained about KIVY and ELECTRUM. Kivy being an Open source Python library for rapid development of applications that make use of innovative user interfaces, such as multi-touch apps. Electrum on the other hand is fast, secure and easy to use. It suits the needs of a wide spectrum of users. Electrum verifies that your transactions are in the Bitcoin blockchain. Because about trust,It is about freedom and independence. He also briefed us about the documentation regarding both and those who were interested in either of the two could contribute. 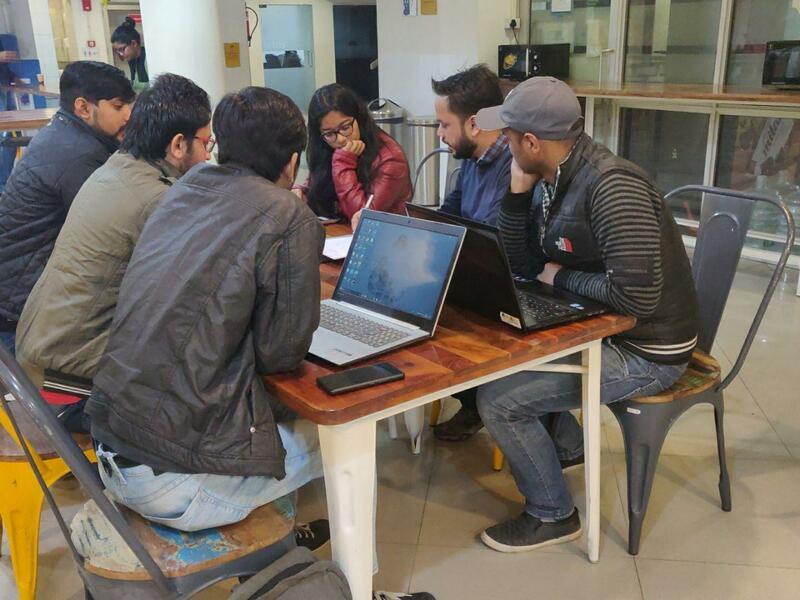 3.As there were many beginners in the DevSprint so, Rajat Saini(a.k.a rajataaron) and Shashank Kumar(a.k.a realslimshanky) decided to take a session on Introduction to git and Github. Since I am a beginner and wanted to go on a slow pace so I learned about the basics of git and github. They taught git in such a proper manner that all my queries regarding it was solved. They explained each and every topic so deeply that each and every doubt and basics were cleared. We further implemented all the topics we learned and it was legit 'eureka' moment for me when i pulled out my very first successful request. It was also told that if, any of the participants is able to make a valid contribution successfully, she would receive stickers or a pen drive from their respective mentors. The meetup concluded with report from the mentors, feedback from the attendees and some fruitful discussions on what to pursue in future and regarding the latest trends and technologies. This was indeed the most eventful informative meetup i have ever been to. With like minded people having great experiences and ready to help you at any moment. Such type of events and activities only helps the community of developers to grow and also helps you grow as a person. Vibhu Agarwal, a first-time contributor was able to make a successful contribution to pandas, which can be reviewed here. As the day came to its conclusion, we ended up with a better understanding of Open source and some sense of self satisfaction. I am looking forward to attend the future events till then signing off.